Curriculum and Instruction » Our WHY! We teach students to become educated productive citizens. 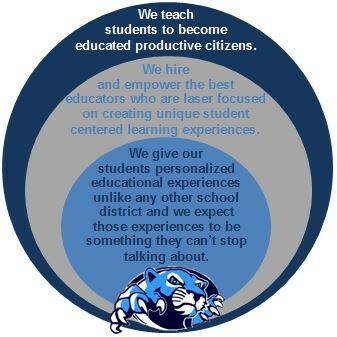 We hire and empower the best educators who are laser focused on creating unique student centered learning experiences. We give our students personalized educational experiences unlike any other school district and we expect those experiences to be something they can’t stop talking about.